UDAI or Unique Identification Authority Of India provides the facility for downloading the Aadhaar Card online. 1. Visit the UIDAI website. 2. Either select the radio button Enrollment Number or Aadhaar Number. 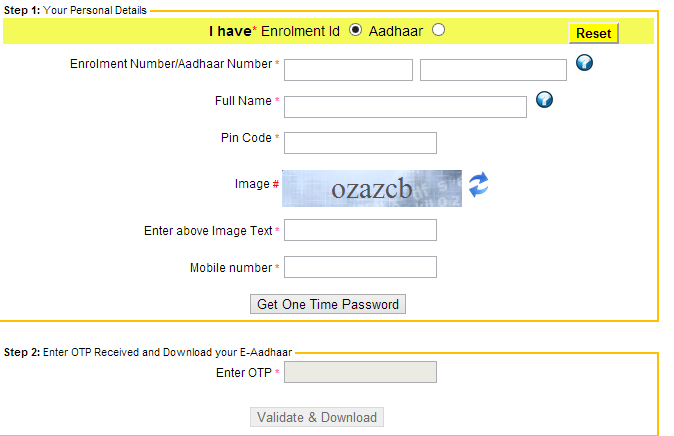 If you got the Aadhaar Number then select the second option. 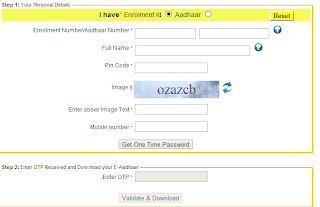 Enrollment Number or Aadhaar Number. Enter your Full Name, Pin Code , Displayed image text and Mobile Number. 4. Click on "Get One Time Password" button to get the OTP on your Mobile. 5. Enter your received OTP in the Received OTP section. 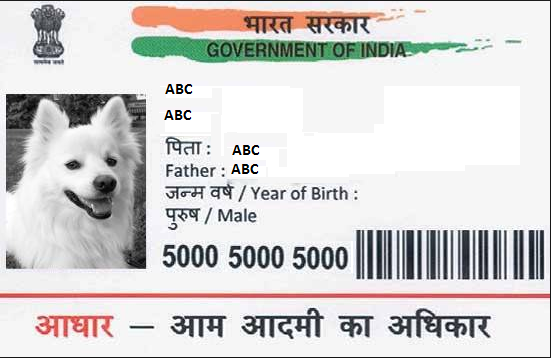 Note:- Adobe Reader should be installed on your PC to view the e-Aadhaar Card.